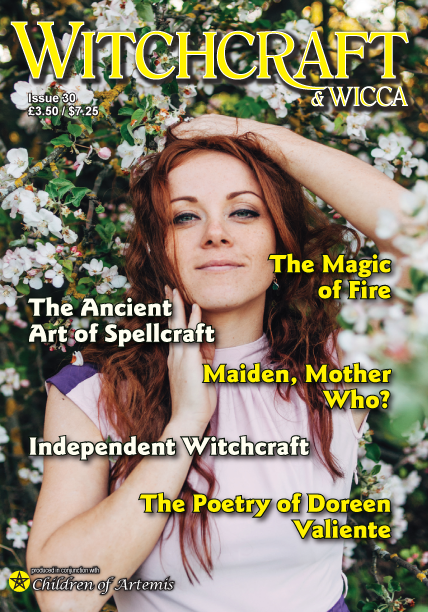 Witchcraft & Wicca Magazine is the most popular Witchcraft magazine in Europe, with articles by many leading authors on almost every aspect of the Craft. The magazine is full colour throughout, with a clear and attractive layout, illustrations are superbly reproduced and it has high gloss cover. The small A5 size is convenient and is ideal for storing on your bookshelf, this is a future collectors item so start your collection now. It is being stocked by many outlets in the UK, if you own a shop and would like to stock the magazine please use the contact us form to request the relevant information. Please order your copy at your local Pagan / Occult / New Age bookshop, you can always refer them to us if they do not currently stock it. Order the current issue and back issues from our online store. Witchcraft & Wicca Magazine is also available in digital format, with back issues and subscriptions options . If you follow this link to Magzter you will find the home of our digital magazine. You can find it on the web and on Magzter app our apple, android or windows phone, just create a free account and search for ” Witchcraft” our magazine will show up then.